What if you can boost your market potential, increase your customer base, scale up profit returns or win back unsatisfied customers, all at the same time and at a low cost? Your company can get all these advantages simply by investing in call center outsourcing. Outsourcing customer support to India can help you to dramatically reduce operational cost, improve efficiency, scale up operations and manage your workforce more profitably. Partnering with India for customer support can help you find the right balance between, customer satisfaction, cost and profitability. 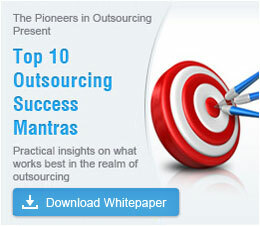 More than 70% of the world’s call center outsourcing is done from India. India has always been the most preferred outsourcing destination for customer support because of low labor costs, fluency in English, excellent communication skills, 12–hour time zone advantage and impeccable quality. Whether your business is small, medium or large, you can make significant cost savings by outsourcing customer support to India. Why choose India for customer support? Call center agent training: Training on team building, leadership, tackling difficult situations and maintaining quality. Is your business unable to retain old customers or gain new customers? Is a non–core yet important business operation like customer support robbing you of precious time and effort that could be channelized into your core business? If you are facing such challenges, then what you may need to consider is outsourcing customer support to India, which is the best call center outsourcing location for 24/7 customer support. Get in touch with us to outsource customer support to India.